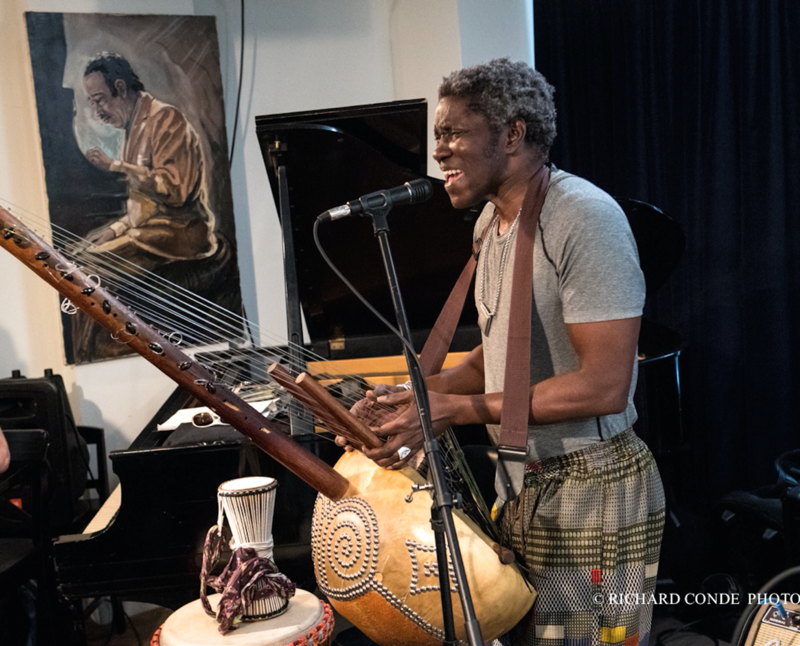 NGEWALOGY comes from the Wolof term gewal meaning griot referring to a family of musicians and traditional storytellers in my native language of Wolof from Senegal, West Africa. Long ago, only the griot could play music and sing about history, lineage and the ancestors. Nowadays, anyone can become a professional musician. Although there is no monopoly on music making, we can tell through your sound if you are a griot or not. A geer (not a griot) plays with feeling and the griot speaks the language of the drum. The griot possesses unique style all around, which has to do with beauty – an elegant way to dress, walk, talk and move. His social rank brings the community together without conflict, he has the right words and philosophy to convince. African philosophy is lived and manifests in the arts, dealing with universal dichotomies such as the good and the bad, life and death, wealth and poverty, health and sickness, etc. Traditionally, the griots do not rehearse. They know the classic rhythms and always the band leader begins the performance by an introduction called Tagu Mbaar where he signs his name so that the people who cannot attend can tell which family is playing at the street dance called Sabar (also the name of the percussion instrument). At the end of his introduction (Tagu Mbaar) he will bring the ensemble to the bakk or unison break. Sometimes, he may improvise a new unison break, sing it three times so that the ensemble can memorize and implement, and if they make a mistake, he will sing again three times. If anyone misses a cue, he will get a hit with the tale of the percussion. In this community, you are tied rhythmically, and you must focus fast and memorize because nothing is written down, it is all about the oral tradition. When you make a mistake in the show and the leader tells you that you sound like a “geer” (not a griot), you feel ashamed and frustrated. The drum was originally an instrument of communication, used to pass messages from village to village. People could understand the language of the drums because they were initiated – they were culturally literate. These drum patterns and oral traditions are transmitted from generation to generation. The griot is the library of the people now became a conscience where NGEWALOGY. 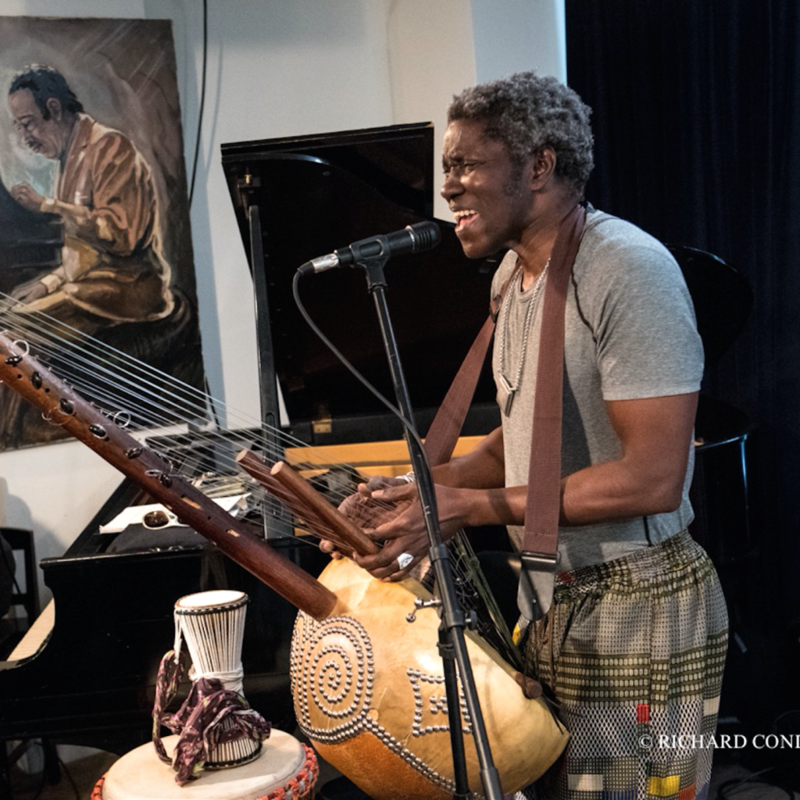 I would like to bring African culture to the forefront through sonic storytelling and creative collaboration with other musicians in the pursuit of joy.